Wouldn’t you love your guests to have the most memorable stay at your home? With our range of top-tier single mattresses, they will. Picking a mattress size is the easy part - simply match it to your bed frame. But what type of mattress you want is harder to figure out. If you’re catering to certain sleeping habits, it pays to invest in one of our firmer or softer beds. On the other hand, if you’re catering to multiple guests over time, you might want to consider the middle road - our Super Supportive mattresses strike a balance between firmness and softness. Not only are our mattresses designed to deliver the utmost comfort. They’re also designed and made right here in Australia. 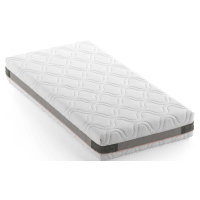 You’ll be getting the highest quality with the best adaptive foam materials so your mattress melds to your body shape. And while our mattresses are designed to last, they also come with a 10-year warranty. Browse our complete selection of single mattresses today to get fast delivery and 30 day returns.